Incremental solid shaft encoder with large bearingsThe FG 2 is an incremental solid shaft encoder with an appealing price-performance ratio and is available immediately from stock. Its bearings .. 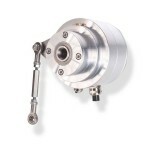 Incremental hollow shaft encoder with ceramic hybrid roller bearings The FGHJ 2 is an incremental hollow shaft encoder. 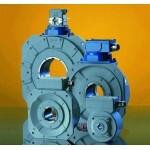 The bearings of the FGHJ 2 are designed to provide higher load ratings to ens.. 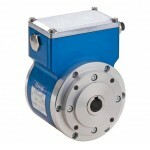 Incremental hollow shaft encoder with insulation and large bore The incremental hollow shaft encoder FGHJ 5 is a rugged device with large 40 millimeter bore encased in a stable, ribbed aluminium ca..
Optical hollow shaft encoder with up to 50 millimeter bore The optical hollow shaft encoder FGH 6 is supplied with a large hollow shaft bore up to 50 millimeters in size. 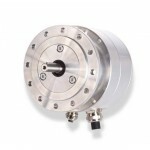 The stable, ribbed cast al..
Optical hollow shaft encoder with up to 80 millimeter bore The optical hollow shaft encoder FGH 8 is supplied with a large hollow shaft bore up to 80 millimeters in size. Thanks to the stable, ribb..
Optical hollow shaft encoder with up to 150 millimeter bore The optical hollow shaft encoder FGH 14 is supplied with a large hollow shaft bore up to 150 millimeters in size. Thanks to its flat styl.. 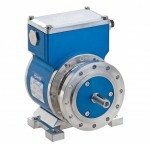 Incremental encoder with a solid shaftThe incremental encoder FG 40 with a solid shaft is an extremely rugged and at the same time reliable device to measure speed, which has been designed .. 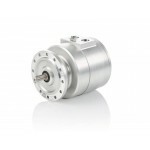 Incremental encoder with a hollow shaft The incremental encoder FGH 40 is the successor to the FGH 4 series of encoders and represents the new generation of encoders from Johannes Huebner Giessen. ..